I first came to know about him not from a friend’s recommendation but when I was leisurely browsing at a bookstore. I saw his name popping up many times on bookshelves. Due to his massive works, there were many books by him lined up neatly. That was how he got my attention. I didn’t pick up any of Haruki Murakami’s books that day but I told myself I would like to read one of his books one day. After a few months had passed, and I had totally forgotten about this until I made a visit to a local library last month, only then did I remember about Haruki Murakami when I happily found a complete collection (based on what I observe, at least) of his books were newly added to the library’s collection. I was ecstatic. And I picked a few of the books to start reading. After finishing his first two books, Hear the Wind Sing and Pinball, 1973, I picked up his What I Talk About When I Talk About Running: A Memoir. Murakami wrote all but two novels. Out of the two non-fiction books he wrote, What I Talk About When I Talk About Running: A Memoir is one of them. The book is short and simple to read. But it contains many lessons Murakami has learned as a novelist and long distance runner for over 25 years. 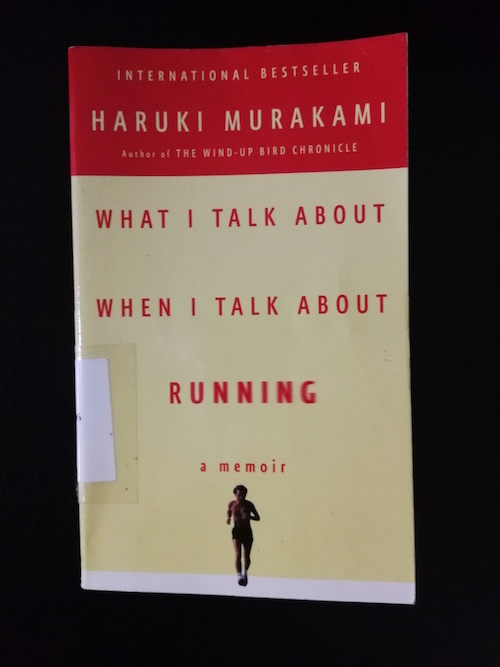 Here are the nine takeaways from his book What I Talk About When I Talk About Running: A Memoir which I think we can learn from Murakami and also teach them to our children. You really need to prioritize in life, figuring out in what order you should divide up your time and energy. If you don’t get that sort of system set by a certain age, you’ll lack focus and your life will be out of balance. Life is basically unfair. But even in a situation that’s unfair, I think it’s possible to seek out a kind of fairness. I think I’ve been able to run for more than twenty years for a simple reason: It suits me. Human beings naturally continue doing things they like, and they don’t continue what they don’t like. It’s pretty thin, the wall separating healthy confidence and unhealthy pride. Whether it’s good for anything or not, cool or totally uncool, in the final analysis what’s most important is what you can’t see but can feel in your heart. To be able to grasp something of value, sometimes you have to perform seemingly inefficient acts.